This is Mirziyoyev’s maiden visit to India since assuming office in 2016. 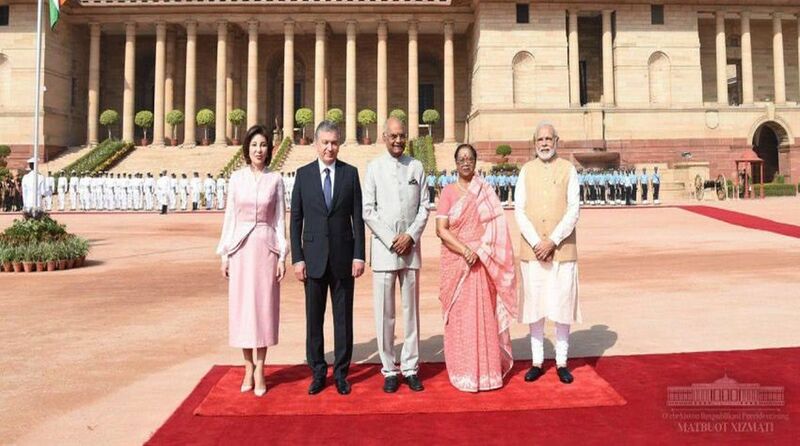 President of the Republic of Uzbekistan, Shavkat Mirziyoyev, who is on a two-day visit visit to India, was on Monday received by President Ram Nath Kovind and Prime Minister Narendra Modi at the Rashtrapati Bhavan. Mirziyoyev also received the guard of honour at the Rashtrapati Bhavan. Talking to media, Mirziyoyev said that India has a special place in the heart of each Uzbek. 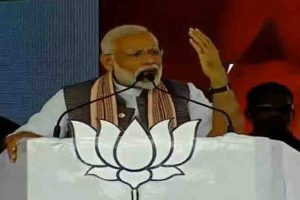 “At the moment, India is a rapidly developing nation, India is confidently strengthening its role as global power,” the president was quoted as saying by news agency ANI. The president is being accompanied by high-level Uzbek delegation members, including senators and regional governors, as well as heads of State for the Investment Committee, Tourism Committee, Ministries of Trade, Healthcare, Education, Information Technology and Innovation. Mirziyoyev will meet Prime Minister Modi and hold restricted and delegation level talks at the Hyderabad House. The Uzbek president is also expected to meet President Ram Nath Kovind, Vice President Venkaiah Naidu, and External Affairs Minister Sushma Swaraj during the visit. On Uzbek President’s visit, Union commerce and industry minister, Suresh Prabhu had earlier said that the visit will turn out to be a transformative landmark and will open a new chapter in Indo-Uzbek relations. Prabhu also said that India is conceptualising a transport corridor which can be a very important link between Asia and Europe for which Uzbekistan can serve as a major transit point.